If your budget won’t stretch to a full or part vehicle wrap, then decals and cut lettering might be the best solution. Relatively cheap to apply, it’s a great way to get your branding and contact info onto your vehicles. 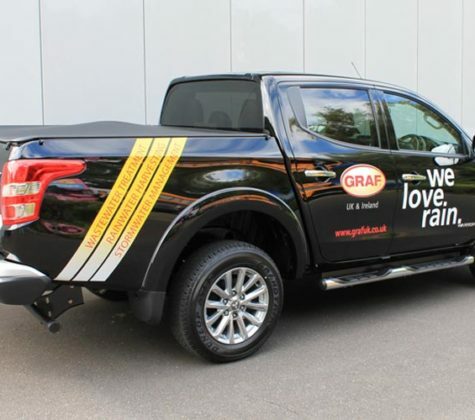 We helped jazz up their pick-up with simple cut and applied graphics. A very straight forward and cost-effective way of branding your vehicle. 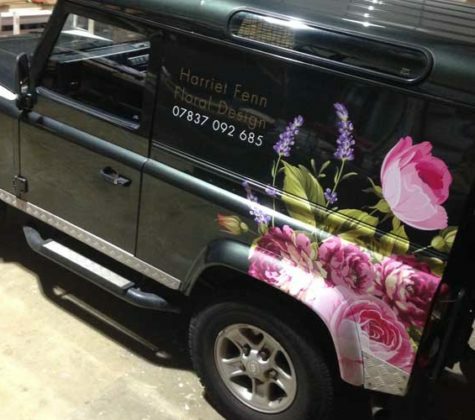 The floral design on this Land Rover really softened the vehicle and brought the branding to life. Beautiful, elegant and hard to miss!